Home Reviews SEMrush vs MOZ: Which is the Best SEO Tool? — Updated! For about 8 months after starting Startup Cafe (my agency business), I thought I could get away with using free SEO tools to advance my business as well as blogging aspirations. To be fair, we weren’t offering SEO services back then like we do now, but we were helping our clients with content creation and content marketing. My team and I would register for free trials with SEMrush, Moz, and other SEO tools such as Raven, Woorank, and of course, rely heavily on the free Keyword Planner tool from Google Ads (erstwhile AdWords) for content creation and marketing. But there came a point in my agency career when using Keyword Planner and free trials of the aforementioned SEO tools was just not enough. Having been impressed with Moz and SEMrush, I finally decided to take the plunge and invest in Moz and a few months later, SEMrush for keyword and competition analysis. Until then, I didn’t know what I was missing. With tools such as SEMrush and Moz, you get to take your SEO game up a notch and come out with truly astounding results for your blog, business, and clients. If you’re reading this, then you’re probably deciding whether to invest in one of these SEO tools. You may have tried the free version of one of these or both these SEO tools and are now considering whether it’s worth upgrading to the full version. Well, you’ve come to the right place. Even if you’ve never tried any of these SEO tools, please read this post to learn more about their features and how you can leverage the power of these tools to improve your site’s search rankings. In this post we will compare two of the most popular SEO tools and see how they compete against each other on features, ease-of-use, and pricing. Just giving a search on Google with the keywords “SEO tools” will show you exactly how complicated and crammed up the SEO world is. There’s a tidal wave of resources out there and while most of these tools are loaded with features, they can make our lives complicated. But most bloggers, SEO gurus, and agencies will agree that SEMrush probably provides the best bang for buck. I use SEMrush for pretty much everything I do. I use it to find new keyword opportunities, do backlink analysis, and to spy on competitors’ keywords. At Startup Cafe, we use SEMrush to help our clients rank better in search engines for competitive keywords and check data on how their competitors are utilizing SEO and SEM. If you know the current state of SEO, you know just how important long tail, low- competition keywords are. And that’s exactly what SEMrush allows you to do. Paired with Google’s AdWords Keyword Research tool, you can truly obtain a few very lucrative low competition keywords and create/optimize content that ranks well in search engines. If you’ve never tried SEMrush before, then you can read this section to know how to start. Others can skip this part of the post and move on to the next section to read the rest of the article. To get started, you’d need an SEMrush account. If you don’t have one, you can register for a free SEMrush account using the link below. This will give you free access to SEMrush Pro for 14 days (actual value – $49.97). Once you have the data for top 10 keywords that your competition is ranking for, you can optimize your own keyword strategy and content to make sure your website ranks well for each of these 10 keywords. In some cases, your competition might be already a big player in the market with several backlinks and other SEO factors to back them up. In this case, what you can do is chase ‘low hanging fruits’ aka long-tail keywords with low-medium competition. These are the keywords where the search volume is low, but the traffic is high since there is little to no competition. For example, instead of trying to optimize your site for the keywords ‘meditation retreat’, you can optimize your site for keywords ‘buddhist meditation retreat in singapore’ which is a long-tail keyword with low search volume, but good traffic. With your free trial account, your searches are restricted to 5 per day and the results are limited to 10. The best part about SEMrush is that you can check not just Google ranking results, but also Bing (US). You can also check how your website and your competitors are ranking in 26 countries. 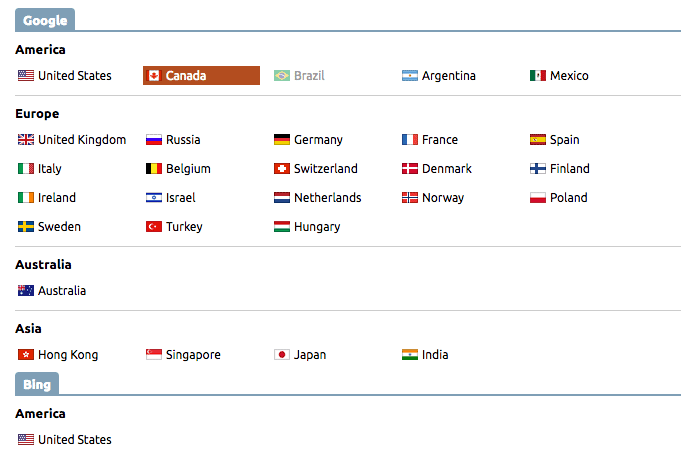 Below is the list of countries where you can do competition and keyword analysis. Site Audit: This is one of the best features that SEMrush offers. You can do a site audit to find and fix the issues with your website. SEMrush offers ‘health percentage’ of your site and notifies you via email whenever the health percentage of your site is at risk. Position Tracking: With the pro version of SEMrush, you can select up to 100 keywords and see how your website is ranking on search engines for these keywords. You can frequently monitor your site’s performance and do the necessary optimization to make sure you rank well for all these keywords. Backlink Audit – You can conduct deep link analysis of your own site as well as your competitors’ site. By doing a deep link analysis of your competition, you can uncover a few backlink opportunities. The more relevant backlinks you have, the better will be your search ranking. 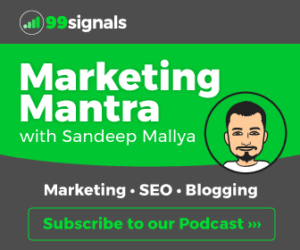 You can do all these and more with a PRO subscription of SEMrush. My suggestion would be to first try their free 14-day trial and use all these features yourself. You can click here to get a complete list of their features. Verdict: SEMrush is the best SEO tool which is highly recommended by most SEO gurus. If this is the first time you’re investing on an SEO product, then SEMrush is the tool you should opt for because it that allows you to do organic keyword research, spy on competitors’ data, and build powerful backlinks. Is it worth the $99.95 per month? Yes and it’s worth every penny. When used to its potential, the ROI is pretty strong with this one. Started way back in 2004 by Rand Fishkin, MOZ first started as an SEO consulting company before they developed their first SEO tool. Fishkin has established himself as a thought leader in the SEO space and is one of the most resourceful and respected marketing gurus you can follow on Twitter to learn some very important SEO and content marketing skills. But when it comes to their flagship SEO tools, I’ve mixed feelings. To get started, let’s talk about some of the good things that Moz offers. The best part about Moz is that pretty much everything good about it is FREE. So if you’re on a shoestring budget and don’t want to invest on SEO tools yet, but still want to ensure that your site ranks well, then the free services offered by Moz are industry standard. MozBar – Perhaps the best among the free tools offered by Moz, MozBar is a Google Chrome extension offers you a glimpse into your site’s Page Authority (PA) and Domain Authority (DA), both crucial metrics, on a regular basis. Your site’s PA and DA change on a monthly basis, so it’s important to keep a watchful eye on how your site is measured in these terms. Moreover, you can perform keyword research and link analysis of the sites you visit right from the browser bar (like shown below) without having to access the dashboard. You can get your Moz Bar Chrome extension for free here. If you’re using Moz for free, then you can give up to 3 searches per day. For the example below, I gave a search on Moz.com to find their DA and PA and to get a fair idea about their backlink profile. Now to the part that isn’t that good. Having been impressed with the free services offered by Moz, I decided to take the plunge for paid subscription and found myself a little underwhelmed. I didn’t mind paying the $99 per month price for standard subscription as long as the tools offered were worth that sum. Being a fan of Rand Fishkin, I so wanted to like Moz Pro, but it fell short of my expectations. I found myself using it less and less and cancelled the subscription to look for better and cheaper alternatives. Having said that, Moz by no means is a bad SEO tool. I still use their free tools such as Open Site Explorer and Moz Bar for SEO to keep a track of my sites’ PA and DA. Moreover, Moz has some incredible SEO and content marketing resources which you can download for free from here. If you’re a beginner, then Moz has some of the best resources which you can read to familiarize yourself with SEO tactics. Their Beginner’s Guide to SEO is perhaps the best SEO guide I’ve stumbled upon in recent times. They also have an amazing blog which I visit regularly. Whiteboard Friday, a video series featuring Founder/CEO Rand Fishkin, is something that you should tune into every week. But if you were to ask me if I’d ever subscribe to Moz Pro for $99/Month, my answer would be No. I’d like to emphasize that this is my personal experience with Moz. There are people who swear by Moz and they may be able to elaborate more on the paid services offered by Moz. Perhaps they have been able to find time to use it to its full potential. For me, everything good offered by Moz is free and if you had to invest in an SEO tool, it’d be SEMrush. 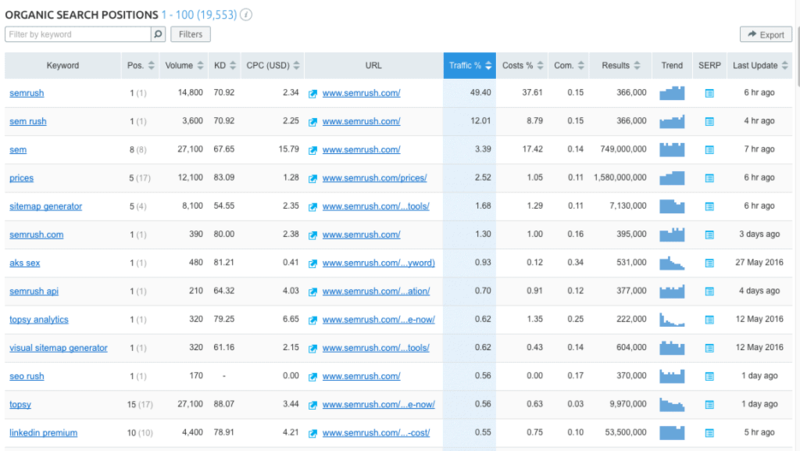 SEMrush vs MOZ: Which SEO tool should you buy? If you were to compare the free tools offered by each of these, both have their own strengths and limitations. However, MOZ offers a free 30-day trial which is akin to Moz Pro’s full version. With SEMrush, you are required to register an account to get your free 14-day trial which has several limitations. Your searches as well as search results are limited to 5 and 10 per day respectively. But if we were to compare the features offered under paid subscriptions, then I’d highly recommend SEMrush over Moz. I use SEMrush for pretty much every SEO task that I do. Not just for my own blogs (99signals and Soulful Arogya), but also for my agency business where we offer SEO services to our clients. In my opinion, SEMrush is a must-have tool if you want to grow your business as well as your blogging career. The sheer amount of data available on SEMrush can be overwhelming at times, but they have excellent training materials and product guide to help you every step of the way. Their support team is really helpful and they organize weekly webinars which you can participate in to hone your SEO skills. Moz, on the other hand, is expensive for the features it offers. The best thing to do would be to try the free 30-day trial of Moz and probably then decide to take a plunge if you like the product. Like I said, your experience with the product may differ and you may find value in the paid services which they offer. On the other hand, if you had to invest in a powerful SEO tool, then SEMrush has all the features you need and more. Give it a try! These are the Moz Pro pricing plans as of October 2017. You can save 20% by switching to annual pricing. These are SEMrush’s pricing plans as of October 2017. You can save up to $800 by switching to an annual plan. If you liked this comparison article, please do me a favor and share it on Twitter using the “Click to Tweet” link below. You could also share it on other social channels using the Sumo social bar on the left. Editor’s Note: This article was first published on June 3, 2016 and has been updated regularly since then for relevance and comprehensiveness. I’ve tried the free version of SpyFu. Is it worth paying for it or do you think SEMrush has all the necessary features? Haven’t used it yet! Is it any good? SEMrush all the way. Moz is highly overrated and their support team isn’t that friendly. 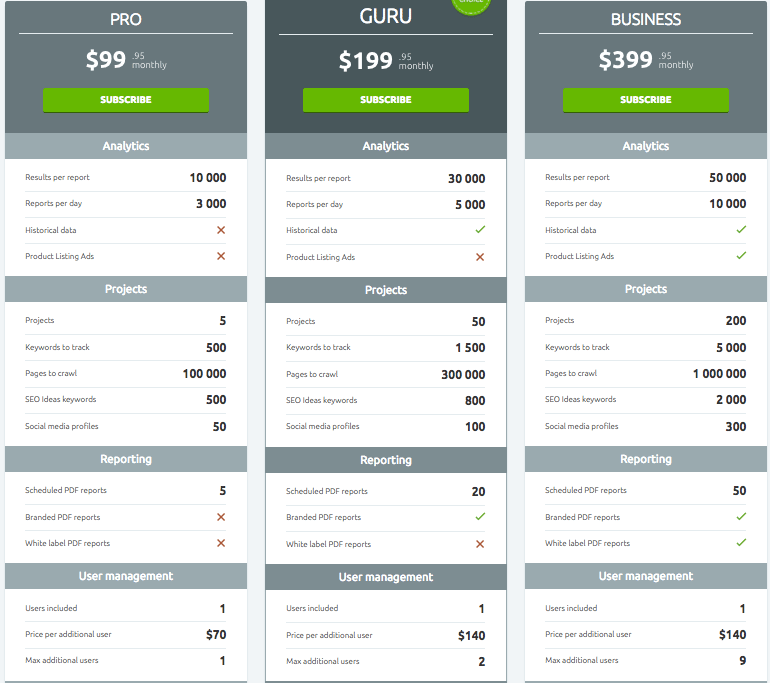 I like both tools, but I agree that Moz Pro is not worth the $99 price tag. Another tool I really like is Monitor Backlinks. Thanks to this post though, I will take a deeper look at SEM Rush. Thanks, Yahjam. I haven’t tried Monitor Backlinks. Will give it a try! Both tools are great. But I’ve found myself using semrush more and more lately. Sandeep , thank you for such detailed review! Currently i used many SEO tools for my website. So i always thinking what are the best seo tools? Currenly, my 2 most favourite SEO tools are: SemRush and Free SEO Cost Calculator. Thanks, Karin. 🙂 Glad you liked the article. Free SEO Cost Calculator from LM is one of my favorite SEO tools. It’s a really useful tool. Semrush and Free SEO Cost Calculator work best together! We are only familiar only SemRush SEO tool. Provide the awesome functionality and features for SEO users. It is the best tool to check online traffic. For both SEMRush & MOZ – do either of these SEO tools crawl the Google or Bing Results??? If not, then how accurate can they be? Thanks, Asad. Glad you found the article useful. Ahrefs is an awesome tool. Probably my second favourite SEO tool after SEMrush. Hi Charles – Not sure if it was you I connected with on Reddit a few weeks back. Anyway, I got to try SERPstat and I must say I’m impressed. Couldn’t explore all the features because of time constraint, but it’s definitely an SEO tool worth paying for. I’m currently working on a resource page which will include 100+ blogging tools that I recommend. Will include SERPstat in that and will let you once the page is live. SEMrush wins most all day, but I guess it all comes down to the user’s requirement, I recently created a similar post comparing the top research tools which might be of interest to your audience; https://www.wpmultiverse.com/blog/semrush-vs-moz-vs-spyfu-vs-ahrefs-vs-long-tail-pro/. I have been using these tools for months if not years. You should focus on only those which are relevant to your industry and are easy to manage. In the last few years, SEO has grown simultaneously with Internet. Currently, there are several competent online marketing services that provide clients with proficient SEO services. Great review of SEMRUSH. Really, SEMRUSH is the best tool then any other SEO Tools. Really appreciate the article since I’m evaluating both tools right now. I met the SEMrush team at Inbound16 in Boston this year. I also had a chance to see Rand Fishkin speak at the same conference. He did a great job. Rand threw up a comparison slide briefly that showed Moz had the following discovery options where SEMrush had just #3 and #7. This was in November 2016. Has anything new been added to SEMrush? I’m having a hard time trying to compare each tools features in an apple-to-apple manner. Thanks for any help! SEMrush has also tweaked a few of their existing features and introduced a few new ones. I find their “SEO Ideas” feature to be especially useful. This is where they suggest ideas to improve the search engine rankings of your post/page. Ideas such as what keywords/LSI keywords you should use and which sites you should approach for backlinks. In addition to this, their backlink audit feature which was in beta mode all this while has improved significantly. While it’s still not as good as Ahrefs’ backlink audit tool, it’s certainly better than what Moz offers. I have used both Moz & SEMRush.. But I have tried only free versions. Currently using ‘SEO SPYGLASS’, this is also a free version. This is also helpful! I have never looked into a depth about these tools. What helped for me is, I just gather all the data in one sheet and create a report on that and send to clients. I think better is semrush. i am very happy with it. Thanks for the great article. I’ll be signing up for SEMrush asap. I’ve cancelled SpyFu and Majestic, and I’m about to cancel SEMrush and Moz. For 2017, I’m going with Ahrefs all the way! 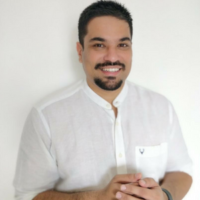 Hi Digvij – Check out this article: SEO Tools Showdown: SEMrush vs Ahrefs vs Moz Pro vs SpyFu! Thanks for this great Post. I am using Semrush from past few months and It is really a great tool to find quality and high performing keywords for my blog. I highly recommend it to others. Hi Garry – Thank you! I’d suggest you go for SEMrush Pro. You can sign up for a 30-day free trial SEMrush Pro here. It will give you full access to all their features and as far as I know, there are no restrictions. Hope this helps! Hi! Thanks – so comprehensive and clear! Great comparison Sandeep! Moz has more package options. But SemRush sounds interesting. Is there a trial they offer? Would love to try and test it out. Thanks, Emmerey. You can sign up for a 30-day free trial of SEMrush by clicking here. Thanks for this great Post. I am using Semrush from past few months and It is really a great tool to find quality and high performing keywords for my blog. Both are great! But concerns me is their payment problem. Most of the Indians face problem while signing up with their plans (even on free trial). I’m a long time user of Moz Pro and recently subscribed to SEMRush. I was comparing the results for both and I found a huge discrepancy in the number of backlinks for the root domain: . Moz reports 4.5k Total External Inbound Links, while SEMRush reported 70 Total Backlinks. I know numbers won’t exactly match between the two tools, but I can’t figure out this large discrepancy. Will appreciate any help! This is a good blog post Sandeep. I was reading some of the comments and someone mentioned the support at Moz is not that friendly and I found that is true from my experience. I believe the one major asset that SEMRush has is the excellent telephone support which is just about impossible to find now a days especially with these SEO tools. Moz just has email support which will require the waiting of a few hours and hopefully the support person totally understands your question so they provide the most applicable answer or you have to start all over again. The people at SEMRush answer the phone within seconds and are very polite, friendly and knowledgeable. 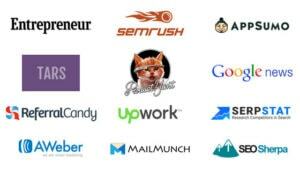 There is no questions about it, SEMRush has the best support of any of these other SEO tool companies. Needless to say their tool is excellent and they are always making improvements. Moz was the hot tool to use years ago when there was not much competition but all that has changed. I will take SEMRush any day of the week! I just signed up for SEMRush, Moz Pro and Ahrefs. So far SEMRush and Ahrefs blow the socks off Mos Pro. The Moz interface is clean but the statistics are dramatically off the other two services and there really aren’t any tools that seperate it from the pack , in fact it probably offers the least functionality out of the three plans for the price. Disappointed in Moz! Best Article for newbie. Thanks.I am Like Semrush It is really a Helpful tool to rank my business website all time. What do you think about Ryte formely Onpage.org ? Is it better than semrush or moz ? Thanks ! We use semrush every day, and recommend to anyone who is serious about keywords. Wow! What a great article. You have compared both tools awesomely. SemRush is my favourite. It is helpful for many work. Thanks! It’s my favorite SEO tool too. Glad you found the comparison useful. I like your deep comparison of SEMRUSH and MOZ Pro, but recently I came across a compaby called Semalt, how does it compare to SEMRUSH or MOZ? Thank you. Wow! What a great article. You have compared both tools awesomely. SemRush is my favourite. It is helpful for many work, thanks for sharing this information i also bookmark this page. I think semrush is best SEO tool but in the field of quality moz is best tool for SEO. These both Semrush and Moz are the best tool i am using Semrush for my blog. I love this content and also your writing skill. According to me, both platforms help us much more in SEO and if we use them and follow guides then we definitely get good results in SERP. I’ve used both for 30 days, i found 30 day trials. At the end, SEMrush was the best option. I felt it was so much cleaner and organized in the back office. In Moz I kept forgetting where things were and spent so much time looking for things that I felt should have been right in front of you, like in SEMrush. Hey Nathan – Thanks for sharing your experience. I couldn’t agree with you more. SEMrush is by far the superior software between the two. I know all these tools but got more info about them from this article. Thanks for sharing the information. I prefer SEMrush for their project management tools and use MOZ for the toolbar, which is handy when you’re checking out websites for link or scoping out the competition in search results. They both have their uses. I personally prefer semrush over moz. In fact I always use SEMRUSH for my client websites too. It’s really a great SEO tool. Anyways, Your comparison is good. Thank you for the brief comparison of both the tools. Hi Sandeep thanks for the article. We use moz but have been considering moving away because of the exchange rate and the price increased a couple of months back – Moz Pro Medium $179. (I can send you the updated prices if you want). There is a lot to like about this tool, but their focus is US and the Keyword explorer only half works if you live in another country, making it difficult to spy on competitors or even do keyword research. We end up using Google Keyword tool for our research and then plug it into moz, which is not ideal. I think location based functionality is a consideration that most people overlook. Once you have spent a couple of months investing money and time in any system, it makes it harder to move even if you are unable to use the tool to its full capabilities. We are going to sign up for a free trial on SEMRush to do our own comparison. Both the tools are very important for seo experts to analysis of website ranking and overall traffic of website. You gave such gud points of comparison.Keep sharing more on SEO updates.